Technology has been improving our lives for decades—especially in the realm of disabilities. AMS Vans stays up to speed on innovation, and we bring that progress to you in articles that reveal how designers and engineers push the envelope to improve wheelchairs and mobility scooters. Advances in technology have enabled AMS Vans to provide you with an easy-to-operate wheelchair accessible van that gets you where you need to go. In our Technology section, we give you the scoop on disability and accessibility technologies—emerging technologies, mobility equipment, adaptive equipment for auto and home, and medical tools that help people with disabilities live and work independently. We also provide information about organizations and assistance programs that may help you pay for this technology. Definitely a good read! Handicap conversion vans go through a remarkable process of transformation to be made ready for wheelchair drivers and passengers. Expert mobility technicians go through a painstaking series of preparations to ensure that the vehicle is adjusted for fit and safety. Today’s post will highlight this conversion process — from initial measurements to the fitting of accessories — and give you a new appreciation for your adaptable vehicle. If you’ve ever seen a traditional automobile go through the assembly line, you know mechanical arms go flying and showers of sparks fill the room. But handicap conversion vans go through a more intimate process — with expert mobility technicians personally seeing to crucial details that will keep you comfortable and safe. Want to Learn Internet Tricks to Shop for Wheelchair Access Vans? 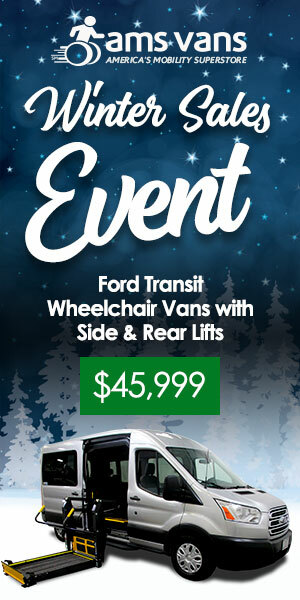 There are few things as physically exhausting and mentally draining as shopping for wheelchair access vans. Driving long distances to car lots with a decent inventory. Moving across massive campuses — often under the glare of an afternoon sun. Dealing with pushy salespeople. Trying to keep track of what you’ve seen.